Ivan Mikloš, 55, is a well-known Slovak politician and economic reformer. He first took a senior Slovak government post back in 1991 when he was appointed the privatization minister. Later he was a deputy prime minister, deputy economic minister, deputy finance minister and finance minister of Slovakia. He heads the MESA 10 analytical centre. Slovaks know Mikloš as the author of radical reforms in taxation and the social sector, he is an advocate for strict economy. In 2015, Mikloš became an adviser to Ukraine's Finance Minister Natalie Jaresko and Economic Development Minister Aivaras Abromavicius. Next year he was considered for the pos of finance minister in Volodymyr Groysman's government. A special bill was tabled to allow Mikloš to become the finance minister without holding Ukrainian citizenship. After all, he co-chaired a group of experts at the Cabinet of Ministers together with Leszek Balcerowicz. The group also includes former Ukrainian Finance Minister Viktor Pynzenyk and economist Pavlo Kukhta from the Reanimation Reform Package initiative. 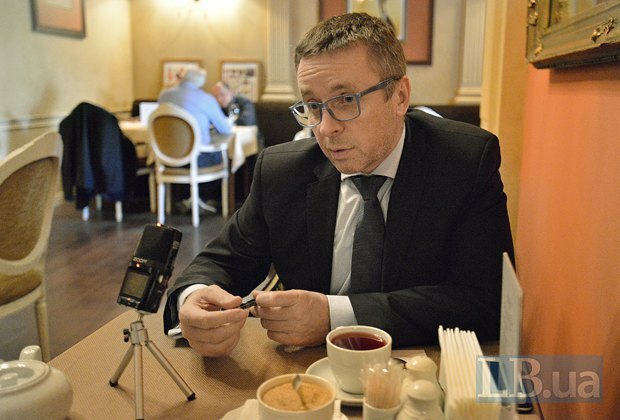 Mikloš met LB.ua journalists in the French cafe Horchytsya (Mustard) in Kyiv's government quarters where he holds one meeting after another. Despite the language polyphony, the conversation turns out to be smooth, rich in content and sincere. [Correspondent] Why did your turn down the post of Ukraine's finance minister? [Mikloš] The most important reason was my citizenship. We have very strict legislation in Slovakia. In Slovakia, any citizen who receives citizenship of any other country automatically and inevitably loses Slovak citizenship. And for me it was of course very sensitive to lose Slovak citizenship. After losing Slovak citizenship, you can ask the minister of interior of Slovakia and he can make an exception. But I did not want to lose it even for the moment and then ask for exception. Second, I have to say that I consider a foreign in ministerial position as a non-standard, very special situation. It is possible in specific circumstances. But I think it is better if ministers are from the same country where reforms are done. Ministers are among the leaders of reforms. One of the most important responsibilities is communication, they need to communicate reforms, to explain reforms. They need to speak to people, to be in media, to participate in the media debate, in TV debates, and my knowledge of Ukrainian or Russian... I spoke Russian relatively fluently but I did not use it for 25 years, which means I still understand almost everything. My speaking is improving slowly, but as for Ukrainian, I understand it but I am not able to speak. [Correspondent] It seems to me this was a polite answer but maybe not entirely sincere one. Why am I saying this? Because there was a bill in parliament which would allow you to be a minister with a different citizenship. [Mikloš] Yes, it is true that at that time speaker Groysman prepared this kind of law but it did not pass voting in the committee. Even some current coalition MPs from the National Front [Arseniy Yatsenyuk's People's Front] did not vote for it, for instance. I randomly met Mr Lyashko and some other MPs in parliament and they told me that they understand my position but for them it is also sensitive to vote for this kind of law and to make an exception for a foreigner to be in the Ukrainian government and not to be a Ukrainian citizen. [Correspondent] Are you in charge of a group of advisers under the prime minister? Or is it Leszek Balcerowicz? [Mikloš] I am an adviser, it is not so important if I am a chief of a group of advisers. I am an adviser to the prime minister. At the same time Leszek is an adviser to the president. Together we have created and are co-chairing this Strategic Group for Supporting Ukrainian Reforms (SAGSUR). 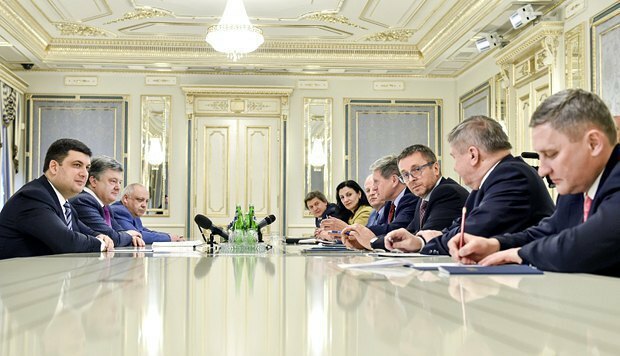 This group is not in the presidential administration, not in the prime minister's office. This is a common group for supporting reforms, for helping and pushing reforms on all levels. In connection and in relationship with the government, the presidential administration and parliament, cooperating closely with the National Reform Council, all stakeholders, including civil society, NGOs, media and others. [Correspondent] You are a highly-paid expert. Your work costs a lot. Who pays for it? Budget? The EU? [Mikloš] No, it's not the budget. It is not yet covered, we are in the process of formulating this. However it is clear that not a hryvnya will be paid from the Ukrainian budget. Everything will be covered by international donors. It is unclear who exactly. It can be the [European] Commission, EBRD, international financial institutions. [Correspondent] What's the effect of your counseling? Yanukovych also used to have many advisers. [Mikloš] First of all, I think the situation is really different from Yanukovych's times. Firstly, in Ukraine there are the president, government and parliament with strong pro-European, pro-reform mandate. There is a significant difference because Maydan, the presidential election, the parliamentary elections in October 2014 were about this. These events and these people received a very strong mandate for doing reforms, legal reforms, and for Ukraine entering the EU. This is the first point.The second point is when I spoke with Volodymyr Groysman, President Petro Poroshenko, when I spoke with them and Leszek spoke with them, we both met repeatedly President Poroshenko and Volodymyr Groysman as well, we want to be assured that it will have sense. We wanted to be assured that the president and the prime minister have will, courage to do reforms - and they convinced us. Of course, we will see how it goes. But I can say that the first steps of this government led by Volodymyr Groysman are very-very promising. Yesterday's decision on the deregulation of energy tariffs is a really-really big step. [Correspondent] Do you know that an exception remains, allowing religious communities, churches to pay less for gas that what commercial companies pay? [Mikloš] I am against exceptions and special regimes. If there is a special regime for churches, we can discuss this. But compared with the previous situation when everybody had a special regime, this difference created a huge space for corruption. Many oligarchs created their fortune on this. As far as the regulation of energy prices is concerned, the situation is incomparable. It is also evidence that it is incorrect to compare the era of Yanukovych and that of Yatsenyuk and Groysman, and Poroshenko. It is not only about this. You know that the original plan was to have the full deregulation of legislation only next year. It happened sooner. It is really good. And not only this. The prices of medicine and their import were deregulated last week. The new CEOs at Ukrzaliznytsya and Ukrposhta, which was chosen during the previous government but this government is continuing this. It is a very good and strong signal. Of course, these are just the first steps.The third point is that our advantage with Leszek can be that we have direct contact and direct relations with the president and prime minister because Leszek is the president's adviser and I am the prime minister's adviser.In this regard we are not just another advisers, because there are a lot of advisers in Ukraine. It is very important to say that our role is not to create some parallel structure now because there is enough structures in Ukraine. There is the government, the presidential administration, the National Reform Council. What we want to do is we want to help reformers to speed up and deepen reforms. Simply saying, we want to help them to diminish and stop doing wrong things and speed up reforms. And we want to do it in close cooperation with reformers and also use our influence on the prime minister and president. [Correspondent] You speak of the new government as if it is one integral team when it is really versatile. What's your opinion about the two key figures, the finance minister and the economic development minister, Oleksandr Danylyuk and Stepan Kubiv? [Mikloš] Personally I know Danylyuk better. I've known him for over one year. We had regular meetings when I was an adviser to the finance minister and the economy minister. I did not know Kubiv, I had not met him before, but my impressions are positive.Firstly, Danylyuk is a free market economist, he has very similar views and priorities not only in the reforms but also about how the role of state in economy, economic policy has to be shaped. We have very similar views and I think in this regard he is a good person for the position of the finance minister. Also, his opinions on what to do, how to do it and when. When I read his interviews, when I met him the last time yesterday, we are in a regular touch. I think he is very promising. [Correspondent] Were you taken aback by reports that he was in charge of offshore companies and that he was an adviser to Yanukovych and worked at the analytical centre of the former head of the presidential administration? [Mikloš] For me it is much more important what he will do in his position. I'm not here for commenting on scandals or potential scandals or accusations. I think this is not my role. This is your role, the role of NGOs, civil society. And you have to do it, but it is not my role.Speaking about what I know about his work for Yanukovych: as far as I know that centre in which he participated was very pro-reform. The question is whether his and their recommendations were accepted, and it seems to be that they were not. But I don't know anything about his incorrect involvement. I don't know if he applies something different from what he is advising today. But for me the most important is what he will do.I know that he is one of the co-founders of Kakha Bendukidze Free Market Centre and I know all these people. There are four co-founders: Volodymyr Fedorin, Yuliya Tychkivska, who are very pro-reform. The fourth cofounder is Mikheil Saakashvili. I have no doubt that Sasha Danylyuk is a very pro-reform person. And he has will and courage to do the necessary reforms. [Correspondent] Why do you think Natalie Jaresko was not supported? [Mikloš] For prime minister or finance minister? [Mikloš] There was not sufficient support for Natalie Jaresko as prime minister. I don't know why. I think you should ask the government. There was not enough votes for her. Then she received an offer from Groysman to be not only the finance minister but also a deputy prime minister in his government and she rejected it. That is to be honest, she did not accept the proposition.